Please welcome Bill Broun to The Qwillery as part of the 2016 Debut Author Challenge Interviews. Night of the Animals is published on July 5th by Ecco. Please join The Qwillery in wishing Bill a Happy Publication Day! Bill: I began writing fiction seriously around age 19 or 20. I was always also very interested in indie music and song-writing, and even had a little regional success with a band in the Midwest – long ago! But the indie music industry is harsh and unforgiving. I felt drawn to fiction- and poetry-writing because I could do it myself, and the challenges of writing seemed both intense and enduring. Bill: Plotter. Fiction is a craft and it never once has come easy for me and been something I could do offhandedly. That’s just me. I admire writers for whom novels magically appear in months, but then again, I often don’t like those novels. Bill: That it imposes my selfish pursuit on loved ones. It takes a lot of time, for me at least, and time in this life is never cheap. Bill: The list is long! I was especially influenced by the prose of Vladmir Nabokov, Mary Gaitskill, JM Coetzee, and Toni Morrison. My wife, Annmarie Drury, is a poet and translator of Swahili poetry from east and central Africa, and that whole world she introduced me to – especially, ordinary people from Tanzania, and Tanzania’s animals, and Tanzanian and Kenyan poets such as Euphrase Kezilahabi and Abdulatif Abdullah and some of the beautiful people who quietly preserve and archive East African literature – all were a big influence as I drafted the novel. The stories of my father, William Broun, from old Worcestershire. The poetry of Sylvia Plath, Medbh McGuckian, Ted Hughes. Henry Williamson’s book, Tarka the Otter. TQ: Describe Night of the Animals in 140 characters or less. TQ: Tell us something about Night of the Animals that is not found in the book description. Bill: It’s both deeply Anglophobic and deeply Anglophilic. 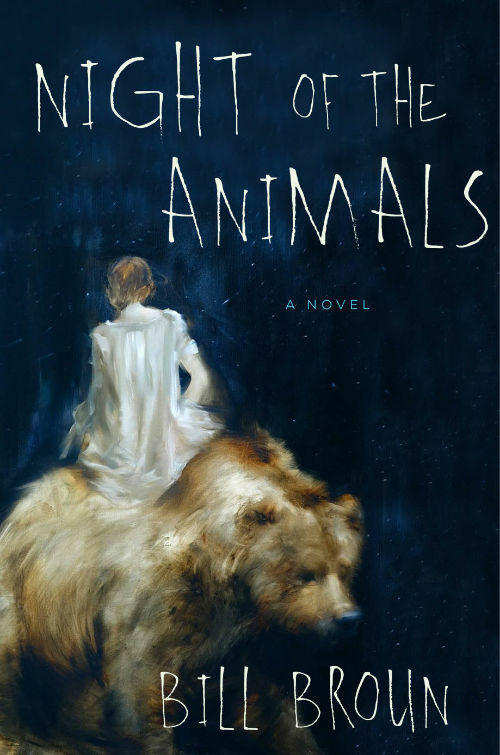 TQ: What inspired you to write Night of the Animals? What appeals to you about the story of Noah's Ark? Bill: My confused and painful love affair with England. That’s one big part of what drove me. I didn’t consciously think much of the story of the ark as wrote until later in the drafting process. I did think constantly of the post-flood covenant between God and humanity, as depicted in Genesis 9:13: “I do set my bow in the cloud, and it shall be for a token of a covenant between me and the earth.” This line promises that God will protect the animals of earth, but as humans, we must be God’s stewards. TQ: What sort of research did you do for Night of the Animals? Bill: Trips to loads of zoos, libraries, along with a zillion overseas phone calls all over the world, and deep immersion in English culture. I went to places most Americans – and indeed, most Brits – don’t think of when they think of experiencing Britain. TQ: In Night of the Animals who was the easiest character to write and why? The hardest and why? Bill: I don’t mean to sound coy, but none of them and no one came easy. It was all very hard for me. I don’t think of myself as very talented or intellectually brilliant. Perhaps a more brainy writer would have had an easier time? TQ: Why have you chosen to include or not chosen to include social issues in Night of the Animals? Bill: I never thought of including “social issues,” per se. I doubt I’m very unique in this as a writer. Instead, it’s more that I fall in love with characters who happen to dramatize social issues. TQ: Which question about Night of the Animals do you wish someone would ask? Ask it and answer it! Bill: Why do you portray the lovely, tourism-driving British monarchy as such a menace in the future? I’m an Anglo-American republican -- with a small “r” – and I think the vestigial monarchy should be kindly abolished and the Windsor family given a pension. Having kings and queens running about is dangerous to democracy. TQ: Give us one or two of your favorite non-spoilery quotes from Night of the Animals. Bill: My next novel is set in Ohio, although I haven’t ruled out taking on King Harry again. 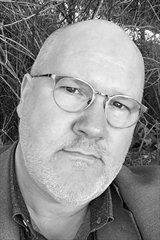 BILL BROUN has worked as a newspaper and magazine journalist in both the US and the UK. He was appointed a resident fellow at Yale University in 2002, where he lectured in English and journalism, and currently serves as Associate Professor of English at East Stroudsburg University. Born in Los Angeles to an English father and an American mother, he now lives in Hellertown, Pennsylvania.